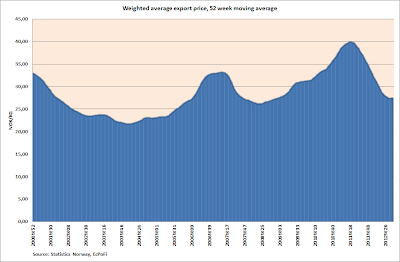 EcPoFi - Economics, Politics, Finance reports on a weekly basis movements in the tonnes exported, the average price and the value of total exports of Norwegian farmed salmon based on data from Statistics Norway in the Weekly Seafood Update (see here for the most recent report). 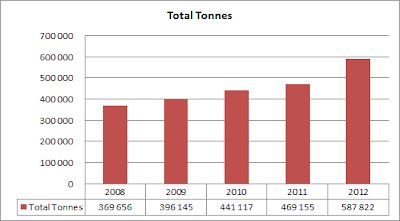 Below is an update for the same statistics, but on a Year-to-Date (YTD) basis, as of week 37 for the years 2008 to 2012. 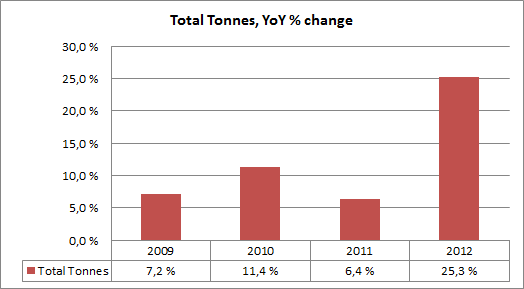 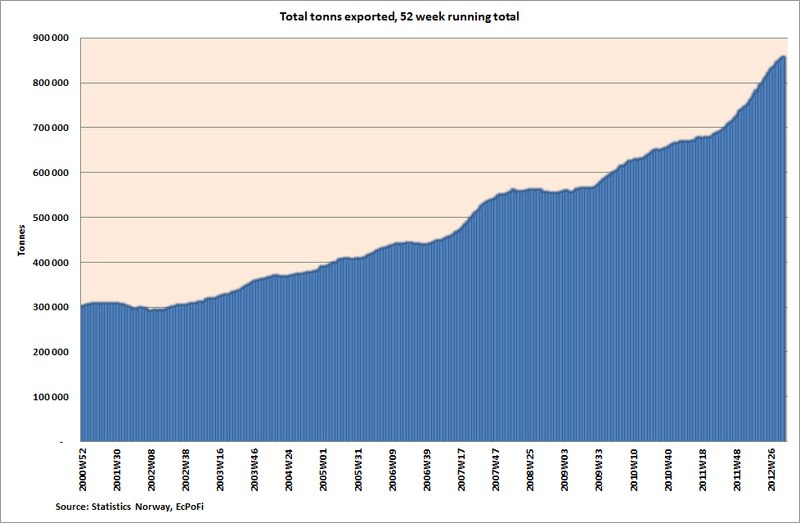 Total tonnes exported in 2012 as of week 37 is 587,822, up 25.3% on last year and the highest ever recorded. 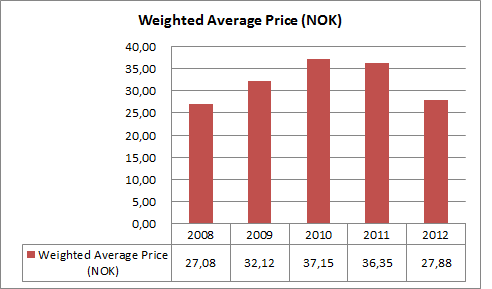 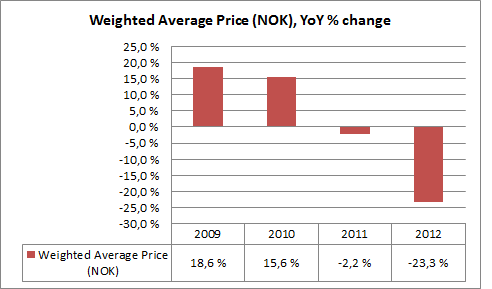 The weighted average price YTD of NOK 27.88 per kilo is 25.3% lower than last year and the second lowest YTD figure reported since 2008. 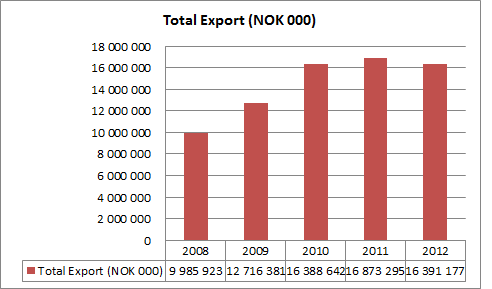 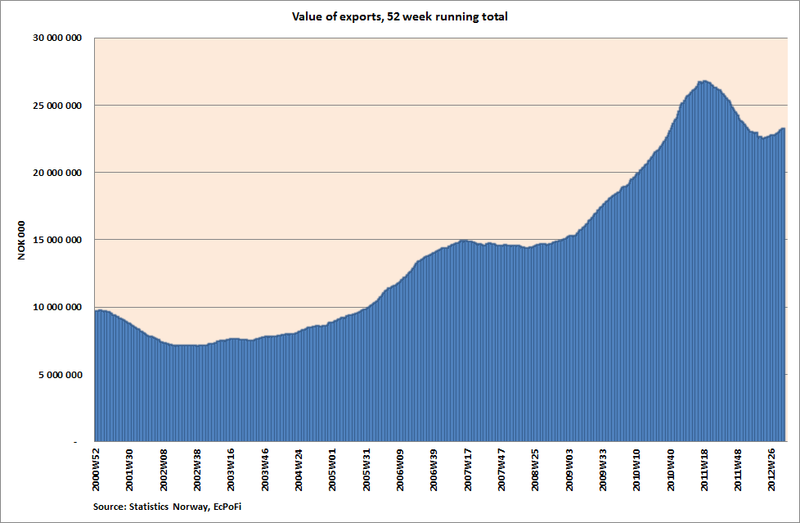 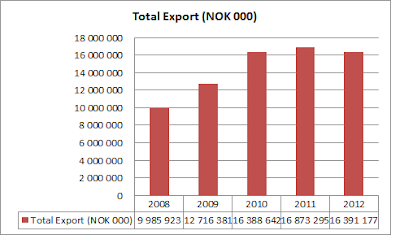 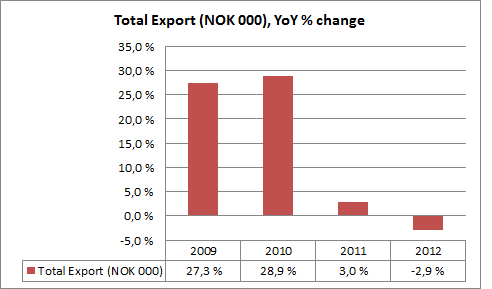 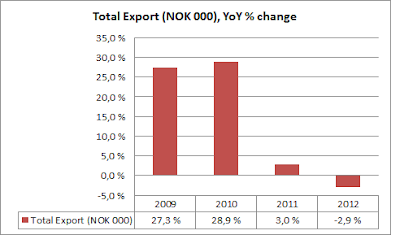 The value of total exports as of week 37 2012 is about NOK 16.391 billion, 2.9% lower than last year and the second highest reported since 2008.